UVO-Wallmount – Odour control – Odour free air and air disinfection – Wassertec Ozone Solutions. Whether at the office, at home or in business, Wassertec’s compact wall mounted ultraviolet units are ideal for keeping smoking areas fresh as well as providing air disinfection in kitchens and those hold-your-breath refuse areas. Perfect, also, for take-away food outlets, pet stores, butcheries… any environment where fresh, clean air is required. 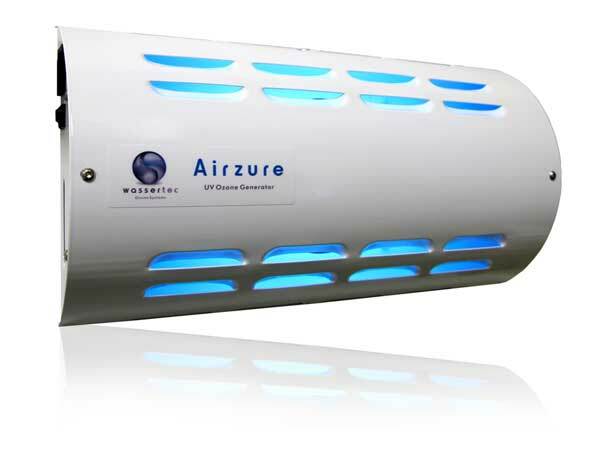 The Airzure is available as a wall-mounted unit for homes and offices, as a portable carrying unit for hotel rooms, and as a heftier unit for commercial use.